It's true. There are no other metal polish products like it anywhere. We've specially formulated Sheen Genie for quick/easy use, durability, longevity, and ultra gloss finish. A single application of our cleaner + polish followed by the sealer + repellent will keep your metal looking like new metal for nearly 6 months! YES, it really works, and YES on ANY metal surface. We invite you to give it a shot! 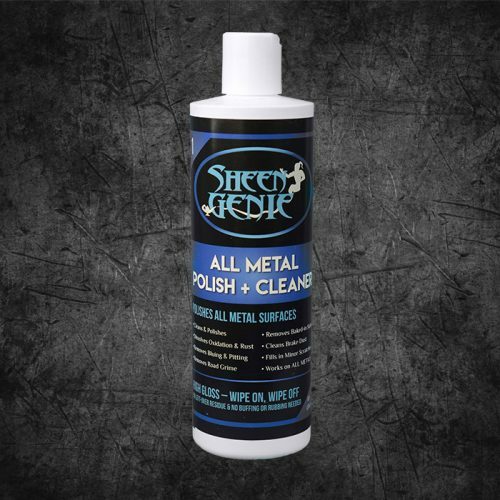 With over 30 technologically specialized ingredients, our Sheen Genie metal polish is a special high gloss metal cleaner and polisher for the ultra smooth and "new" look that lasts. It took us over a hundred formula concepts and tests over a period of a few years to get to our currently perfect advanced solution. A single application will last you up to 6 full months! A perfect show ready shine, every single time. 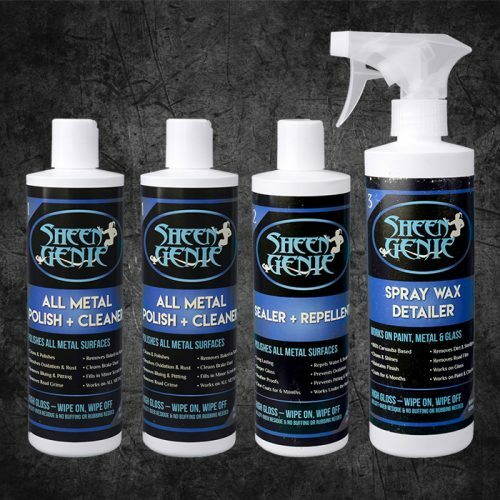 Sheen Genie metal polish system is water based and contains none of the "standard chemicals" which means no wax, rough rouge, petroleum products, or oils that just leave residue and scratch the surface. Other brands contain these toxic ingredients. No residue or scratching means no buffing. Literally... just wipe on and wipe off in seconds. A new look on the entire piece in just minutes. Streak free shine every time! How Does Sheen Genie Work? 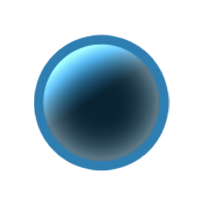 The real enemy of metal is a natural environmental process that attacks the surface called "oxidation". Oxidation is the haze, rust, and bluing that you see on your metal's surface. Until recently, the only and best way to remove oxidation has been to use abrasive materials and petroleum based materials to actually scratch the surface of the metal to "scrub off" the oxidation. Scrubbing the surface will scratch off and remove the oxidation, it's true, but causes further abrasions in the surface leaving room for more oxidation to happen again, more quickly. Scratching the surface only works for a short amount of time. In essence, you're removing the needed protective outer layer of the metal and now you're allowing oxidation to happen again, only much sooner this time because there is no protection and more exposed "scratched" surface area. You're doomed to polishing more and more often in the future to keep the dull look from the surface. Advancements in modern chemistry have allowed us to create a non-abrasive, water-based formula that will actually remove oxidation with a quick chemical reaction without scratching the metal surface and removing the protective layer. This is Sheen Genie's secret. Stop scrubbing so hard. It's unnecessary. Once the surface is oxidation free, our sealer + repellent adds an additional protective layer which will last up to 6 months in the most extreme colds or hot heat. Simply wipe Sheen Genie on and then just as quickly, wipe it off... and you're done! That's it! Metal polishing doesn't have to be difficult. We've proven that! You can use Sheen Genie around the house on pots, pans, vases, dinner platters, picture frames, and faucets. 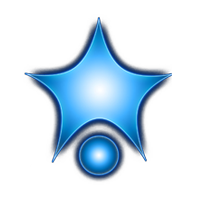 Hey, maybe you can tell us some of your other common areas of use for Sheen Genie that you love. Let us know! Apply a quarter sized amount of Sheen Genie product to a terry cloth or soft cloth towel. Applying some pressure, rub the cloth with Sheen Genie on the metal surface to apply the Sheen Genie metal polish product. Keep in mind that several applications may be necessary if the metal surface is dirty or has a lot of left over oxidation or remnants of other brand of metal polishing product residue. More applications of Sheen Genie will only help increase the gloss and protection on your metal surface. After rubbing your cloth on the metal surface to apply the product, find a clean part of your soft cloth towel, or use a new clean towel, and simply just wipe off the dried product. 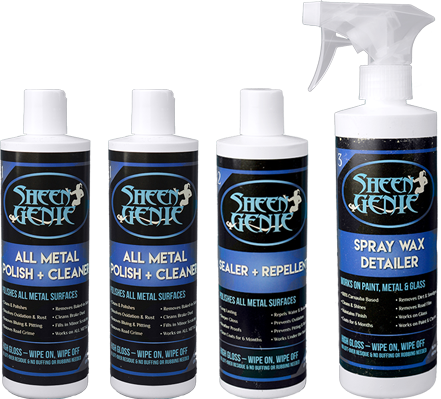 Follow the simple instructions for all of Sheen Genie's metal polishing products ...and that's it! It's that simple. No hard buffing required to see maximum results. Just wipe on and wipe off. You're done! Technology and science is wonderful, and we embrace advancement in these areas. The hard work and test after test that our chemists tried is mind boggling. Just like Thomas Edison and the light-bulb, we did it! Advanced technology and lots of testing is the reason why you see Sheen Genie today. We're bringing you the latest advancements in the metal polish industry in our Sheen Genie metal polish system. As of right now, you will not find a finer non-abrasive, water based metal polishing system on the market today. We've tried! As with all of our products we put you, the customer, first. Your satisfaction is guaranteed. So... Sheen Genie. Had this on [my Corvette] for over a month now. First the all metal polish and cleaner, then a coat of the protectant and sealer. We've been to Pennsylvania and Massachusetts, did a mystery cruise in upstate NY. All I have done is since is just a quick wipe down with a clean terry cloth. I am amazed by this stuff. I love it! I sure like this product. It is nice to use and works quite well on my 24 karat gold on my motorcycle. Sheen Genie is amazing. It's a must try! I bought this product at Daytona's Bike week this year. My bike had been sitting for 2 years under a tarp, outside, and dead. I put it in the shop, used some Sheen Genie on it and it looks brand new. I stand behind this product. The wax spray works miracles. Great product!!! I have always seen this product at shows and I just didn't want to purchase it to find out it doesn't work. While attending the Summit Piston Power Show it got the best of me. I know we had some older center-line rims to clean up for our team's Camaro. Clear coated chrome around the outside with aluminum inside. I used a power ball with your product. This polish works AWESOME!!! I just picked some up at the Super Chevy Show at Maple Grove Raceway and this stuff is awesome. I recommend anyone wanting the “new polished metal” look to give Sheen Genie a shot. You won’t be disappointed. This product is the best I have ever seen. I saw a demonstration at the Detroit Autorama where an aluminum Pepsi can was polished and looked like chrome when he was done. Within a few seconds and very little polish or effort. Amazing! Can’t wait to use it on my rims and chrome trim. 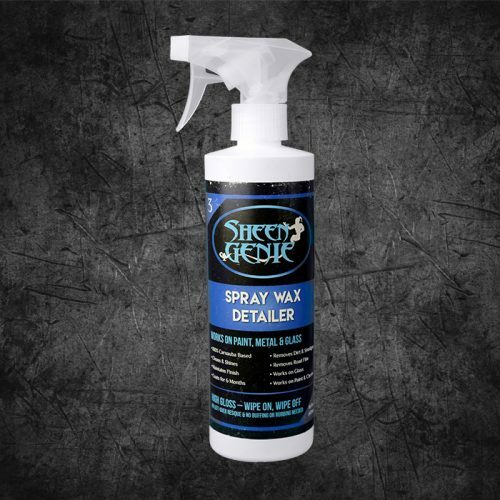 I use the cleaner + polish and sealer + repellent on all 3 of my motorcycles, truck wheels, and even polished my aluminum screen door! Need more Info? Check out our store, and see all of your options. View our special features and visit the store make it your own. Its very easy to use and make your things always new. Our Sheen Genie metal polish system has been tested over and over again. It holds it's strength and durability to over 600 degrees Fahrenheit. It's formulated to be used on ALL engine and exhaust parts. Sheen Genie contains no petroleum solvents and will not leave behind any greasy residue. Just a simple wipe on, wipe off. It polishes and cleans immediately. This lasts for up to 6 months. Yup, we just did that. That's the point! Modern chemistry allows you to create maximum shine with minimal effort. Do you want to spend the day polishing or driving/showing off? Professional auto detailers have thrown out their buffers. We encourage you to do the same. Sheen Genie offers a 100% money back guarantee. We're so confident this is the best metal polish you've ever used, that we put our money where our mouth is. If you're unsatisfied with the results you see, simply let us know and we'll refund your money. Use it on your entire car, truck, boat, motorcycle, and semi. Use it on everything from your chrome rims/wheels, bumpers, fenders, chrome trim, engines, and grills. We've formulated a special concentrated chemical that actually dissolves any oxidation as opposed to every other brand that uses harmful abrasive's which scratches the surface and makes YOU work hard instead of the polish! 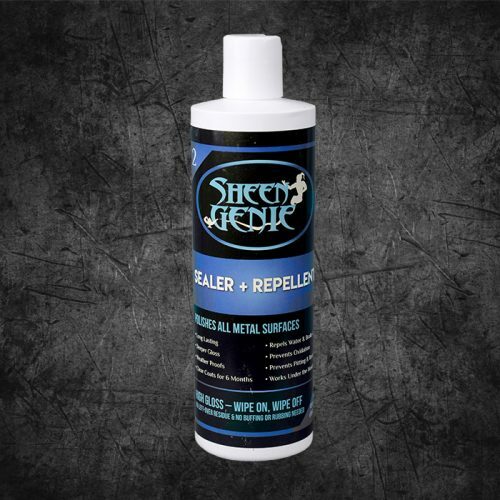 Sheen Genie will actually fill in and smooth small scratches in your metal surface. aluminium, chrome, stainless steel, brass, copper, silver and even gold! Yup, you can use Sheen Genie to brighten and polish your jewellery. How much you can polish with one bottle? The short answer is one bottle of our metal polish and cleaner will fully polish 10-12 applications to cars where metal is the prominently noticeable surface. The same goes for motorcycles, but 15-18 of those in quantity. For the real men who are semi-truck enthusiasts, you'll get 4-5 full applications out of each bottle. Click here to read more about why viscosity of the metal polish you are using matters, and why Sheen Genie is a head above the rest in this particular category. Can you use a buffer ? The metal polish and cleaner is completely buffer compatible. Just to be clear, we are saying that you don't need a buffer in most situations, however, if you'd like to use one, then yes, Sheen Genie will work. We recommend using a buffer on metals where oxidation or surface build up is extreme. This can help speed up the process of restoration. Older metal parts with heavy build up can be removed simply by applying the polish with a terry cloth towel; however, a buffer can allow the polish to be spread at faster speeds which ultimately gives you faster results. On smaller surfaces such as wheels, valve cover, or exhaust a buffing wheel will not save any time. Will it take place surface rust? Surface rust is actually one of the main reasons why we invented Sheen Genie metal polish and cleaner. The surface rust typically comes from road salt, chemicals, acid rain, mud, but mostly from just being exposed to oxygen and moisture. Rust is just a mild form of corrosion from oxidation. How our formula works is by penetrating the surface rust down to the connecting layer of buildup. It releases the bonds of the rust from the smoothest parts of the metal, therefore exposing the original surface once again. 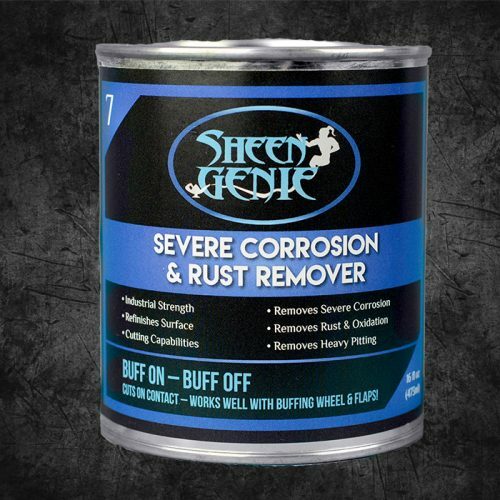 Sheen Genie remains moist and the rust absorbs the moisture from the compound much more quickly than it will re-oxidize, keeping the surface clean and free of corrosion. Typically you'll find optimal results from just the first application, however, if some of the corrosion remains, just give it a second application and you should be very satisfied with results. You'll notice a new, smooth, glossy surface that should bring a smile to your face. Click this link to learn more about what causes metals to oxidize or rust . How long does the high gloss last? It depends on if you follow the complete metal polish system instructions. If you choose not to apply the sealer/repellant then you're going to be relying on the particular metal you're applying it to and how well it was plated or produced originally. Smoother metals will typically last longer. Highly polished aluminum surfaces without the sealer will typically last a month before any sign of hazing. However, other softer metals such as stainless steel may only last 2 weeks. This is a huge reason we recommend using our sealer and repellant. Our sealer will fill in fine scratches and produce a clear coat protection that keeps your high gloss finish for up to 6 months with each application. This sealer will actually keep the metal from meeting the moisture and oxygen in the atmosphere which causes corrosion..
How does this compound differ from others? Our high gloss all metal polish and cleaner is different for many different reasons. Below are just a couple of big ones. We use absolutely no abrasives. Abrasives are designed to scratch the surface to remove oxidation. This also wears down your metal and will remove the protective surface that was put there on purpose for looks and gloss. We don't use petroleum solvents or gels. This can typically leave a residue behind which will allow for collection of dust and unwanted micro debris. This will ultimately scratch the surface. The only way to get rid of this residue is to buffer and wipe repeatedly. 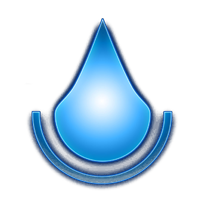 Our products are all water based. That's right. It goes on, does it's job to remove oxidation, and wipes off immediately without residue or scratching. Have you ever used an oil based paint versus a water based paint? Do you know how much easier it is to clean the water based paint out of your brush? The same principle applies here. It's just simple. Our metal polish and cleaner has the perfect viscosity. Not too thick and not to watered down. Just right. No buffing, or buffer wheels required. Just wipe on and moments later, wipe off. It was designed to be easy. We have over 30 advanced ingredients, each injected into the formula for common problems you'll find with your metal surfaces today. Consider that most polishes have a 40:60 % ratio 40% abrasives and 60% petroleum. Abrasives scratch and the oil base creates an excessive amount of surface residue that prematurely will haze the finish. 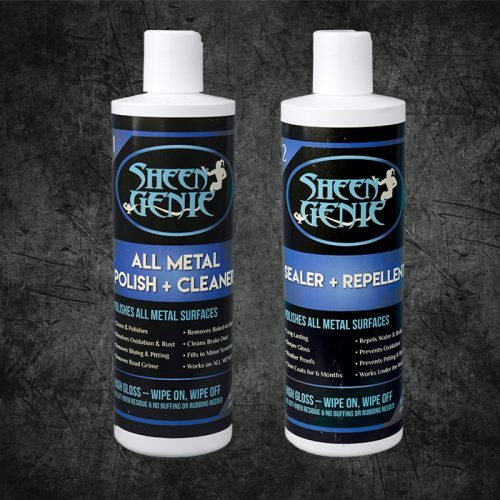 What metal surfaces does Sheen Genie polish? Keep in mind that Sheen Genie was started and created originally for the automotive industry. However, we've heard from hundreds of our customers about how well it works on other metal items around the house and shop. Honestly, we haven't found any true metal surfaces that it doesn't to a fantastic job on yet. Of all the comments we've received, these 8 surfaces are what continue to be mentioned over and over again: Chrome Stainless Steel Aluminum Nickel Gold Silver Copper Brass If you know of anything that you've tried and would like to let us know, please contact us here on the website, or on our Facebook page or Google + profile and make sure that we're aware. As always, we love pictures, so please submit those too!